What do you hope to get this Valentine’s Day? A box of exquisitely-packaged chocolates, the kind with epicurean flavours (definitely not procured from the petrol station)? Or, how about red rose petals, strewn in your filled bath, with a flute of pink champagne delicately balanced within stretching distance? I’ll take a bit of that, thank you very much! 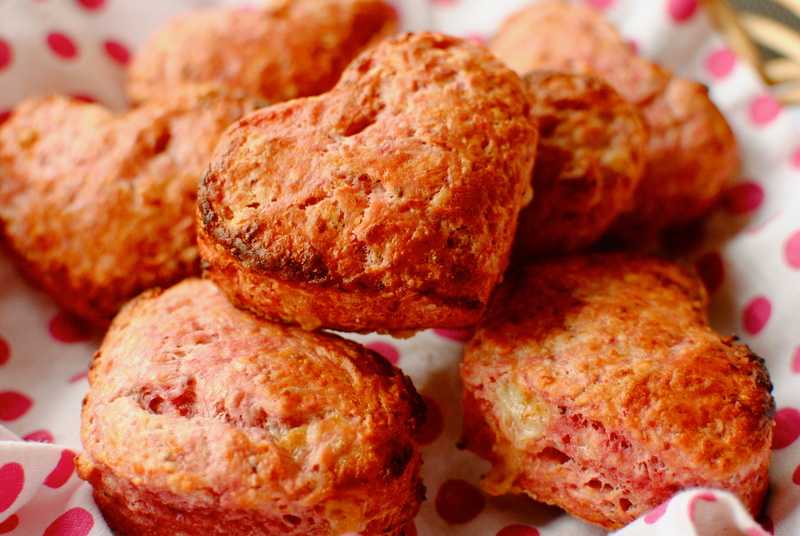 Well, what would you say about a basket of freshly baked beetroot and cheese scones? For breakfast. Sound a bit odd as a Valentine’s treat? Well, there are advantages: no choccie-smeared face on the bus to work for starters; and no petals stuck in uncomfortable places. And they are pink. And you could have champagne with them. I haven’t tried this, but it could work. I do know these light, savoury scones go jolly well with a smoky mug full of lapsang souchong tea. And absolutely heavenly with a schmear of salted English butter. I would agree that it sounds odd but I promise you, hand on heart, these are absolutely terrific scones. The beetroot is so subtle as to be only a background note of savouriness; and the dash of Worcestershire sauce and wee dollop of grain mustard elevate this way beyond a plain cheese scone. 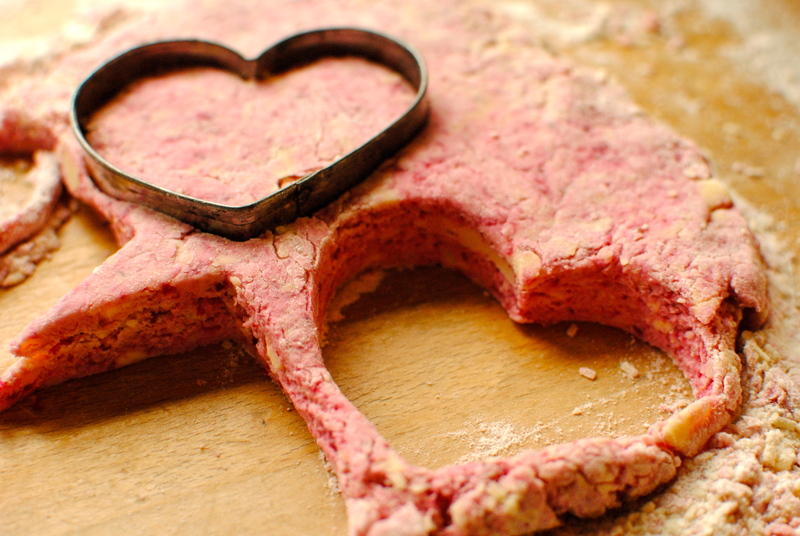 If you have a favourite scone recipe you could even try it with these adaptations. But I have tried many permutations of this most British of baked goods and I really think this is a keeper, with or without the hint of pink. So save the chocs and the scented bath for later, and treat you and your loved one(s)s to a funky breakfast of crazy pink scones. Be a devil and don’t let on that the pink comes from a bit of grated beetroot. But do tell them – after they shower you with compliments. Valentine’s Day is about surprises. Nobody said the surprise can’t be beetroot. History Bit (bear with me, please) I’m not terribly sure that whoever invented scones would recognise them in this salmon-pink disguise. The first published mention of the scone was all the way back in 1513, in a translation of the Aeneid by the Scots poet, Gavin Douglas: ‘The flour sconnis war sett in, by and by, wyth other mesis.’ Hmm, not very enlightening. But we do know that the original scones were unleavened – bicarbonate of soda was a mid-19th century invention – and made of ‘fine white fout’ (reflecting the possible source of the name scone, from the Dutch for fine white bread – schoonbroot) and soured milk (buttermilk). These would have been flat, much like today’s Scottish potato scone, and scored to give four portions. Later, leavened versions would also favour this quadrant sharing size. Individual portions are a recent tinkering, probably Victorian. Love those Victorians as I am not much of a sharer at heart, always making sure that anything portioned should either favour me, or be excruciatingly millimetre-perfect in its cutting or ladling. 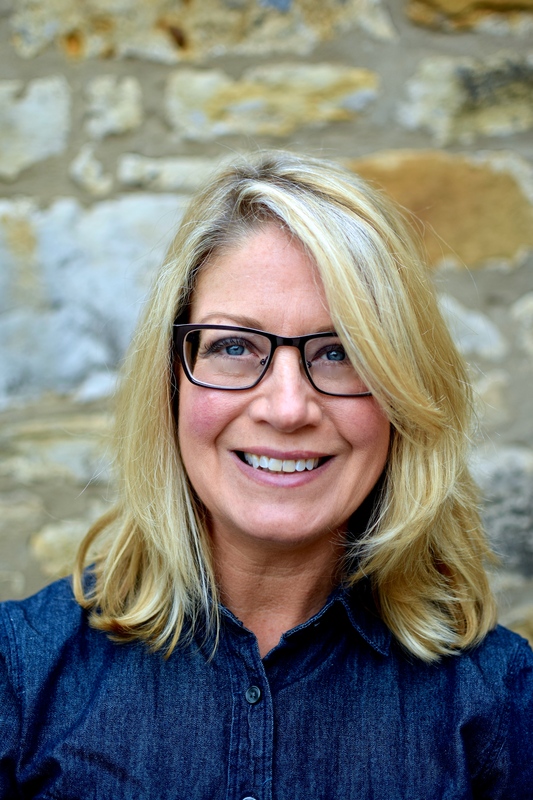 My husband – an only child – thinks I’m a bit mad. Of much more importance is, of course, pronunciation. No word promotes such a nationalistic twinge to a Scot as the ‘incorrect’/English pronunciation of scone. Here, in the land of its invention, it rhymes with ‘gone’, indicated by the Gaelic word for scone, ‘sgoon’ (long soft ‘o’). The English, and Americans, rhyme it with ‘stone’. Even I, American-born but living here for 20-hmm years cringes when I hear the ‘stone’ pronunciation. Being a pedant I have to bite the insides of my cheeks not to utter a challenge. But I keep my mouth shut. Preferably with a scone. And don’t even get me started on the which-goes-first – the jam or the clotted cream – conundrum. We will leave that most English of conundrums to the English. But, for the record, I’m a jam-first girl. Sorry, Devon. 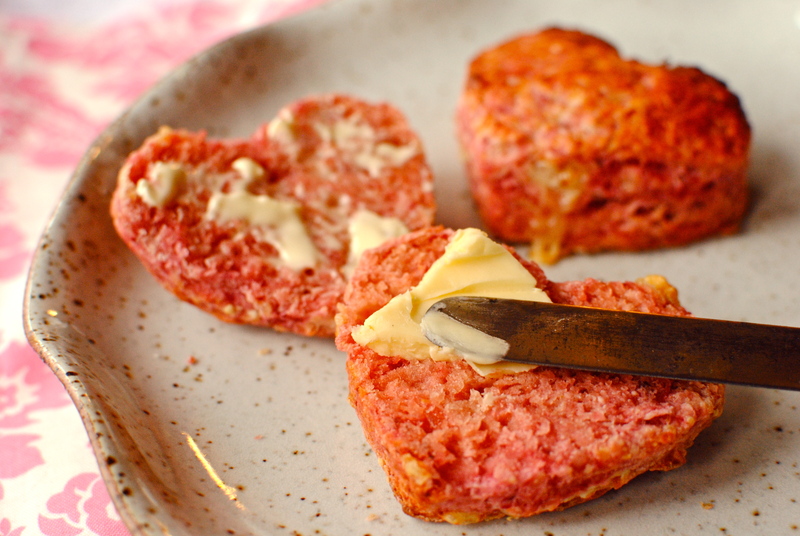 The amount of beetroot in these scones is really just for colour, but I have plenty of beetroot recipes should these pink scones pique your curiosity for this most maligned of vegetables. Want something sweet and healthy? Then how about super-moist Chocolate Beetroot Cake? For a hearty, toothsome salad with lots of amazing flavor, you could do worse than try Warm Beetroot, Lentil and Pepper Salad with Griddled Halloumi. And to ward off colds, or to have as a tasty nippy-sweet drink, whiz up a jug of Beetroot Zinger Juice – my riposte to germs and fatigue. Preheat oven to 220 (200C fan). Sift the flour and baking powder into a large bowl. Rub the butter in with your fingertips, but preferably with a pastry cutter, until it’s evenly ‘crumbly’. Mix in the cheese. 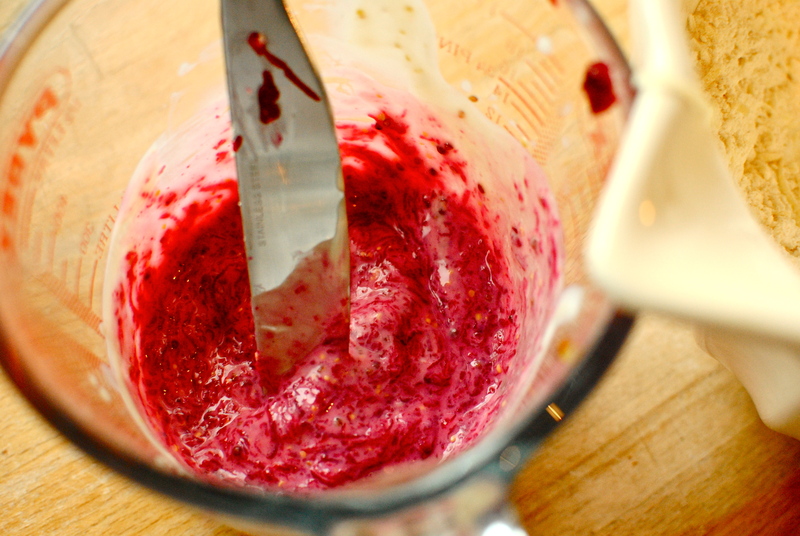 In a small bowl or jug, stir together the buttermilk, Worcestershire sauce, mustard and beetroot shreds. 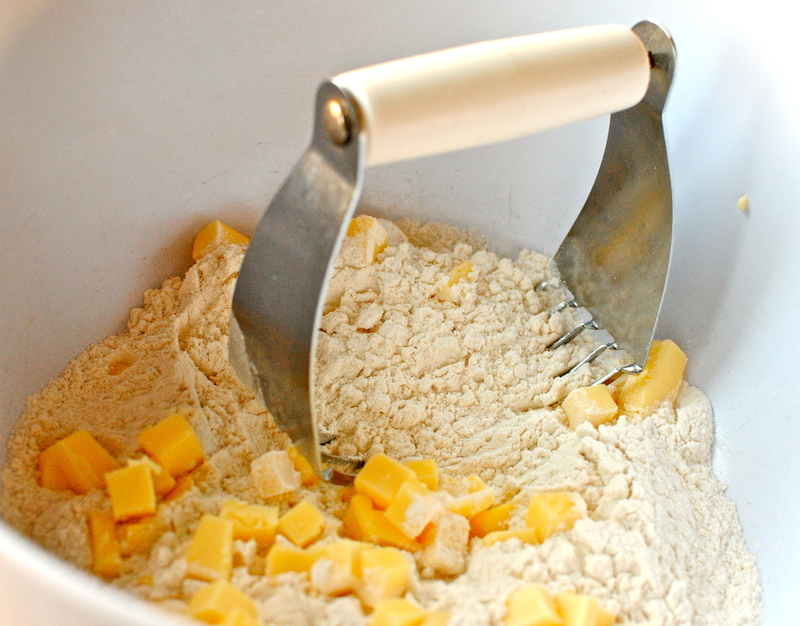 Gradually add the wet mixture to the flour, stirring with a knife, until you achieve a soft dough and a ‘clean’ bowl. If there is quite a lot of flour that refuses to amalgamate, add a tablespoon more buttermilk. Resist the temptation to handle it with warm hands or you will get tough scones. Plop the dough onto a floured surface and gently and not too precisely pat out the dough to about 1 inch (2.5 cm) or a bit deeper. Flour a 2 ½ inch (6 cm) scone cutter and cut out 5-7 scones (depending on the depth of dough and size of cutter). Place the scones on a well-oiled baking sheet, and brush the tops with milk. Bake on a high shelf for 15-20 minutes until the scones are well-risen and very golden. Pierce a scone with a toothpick and, if it comes out clean, it is done. Cool briefly on a wire rack (don’t leave on the baking sheet or they will get soggy bottoms). Serve warm with lots of salted butter. A pot of smokey lapsang souchong is the perfect accompaniment. These scones are also brilliant with nearly any soup. OMG! Kellie, these have my name all over them and what BRILLIANT savoury scones too! I have been developing a few beetroot recipes lately and love the pairing of cheese with the lovely root, but these are just FABULOUS! I am bookmarking this recipe! Woah! Yummmm! This look delicious! How did they taste? I just happen to have some fresh beets from the farmer’s market in my fridge! Unfortunately, they are reserved for another recipe, but I will have to bookmark this and come back to it. I love the bit of history! Explains why some bakeries I used to work at would make scones in the shape of quarter circles. These look so good! I’m definitely making them. I can’t see why not as both are acidic milks, albeit cultured differently. Is kefir a bit thicker? Anyway, you are a fabulous cook so you’ll make the right adjustment. Hope you like them! Ooooohhh Kellie!!!! you and your beetroots!!!!! 🙂 They look really scrummy so gonna make them for a friend who has invited me for dinner on Tuesday. It’s a “non-valentines” day dinner! …..but I’ve no heart cutter!!!! They wont look the same…. These scones are so lovely! 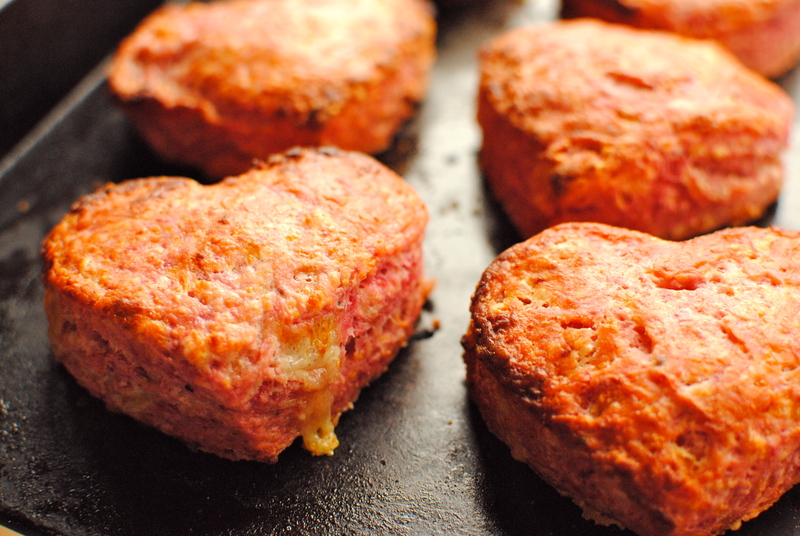 I could definitely see myself enjoying them on Valentine’s morning…or any morning, for that matter. Their blushing shade of pink makes them look so special! Festive and savory! 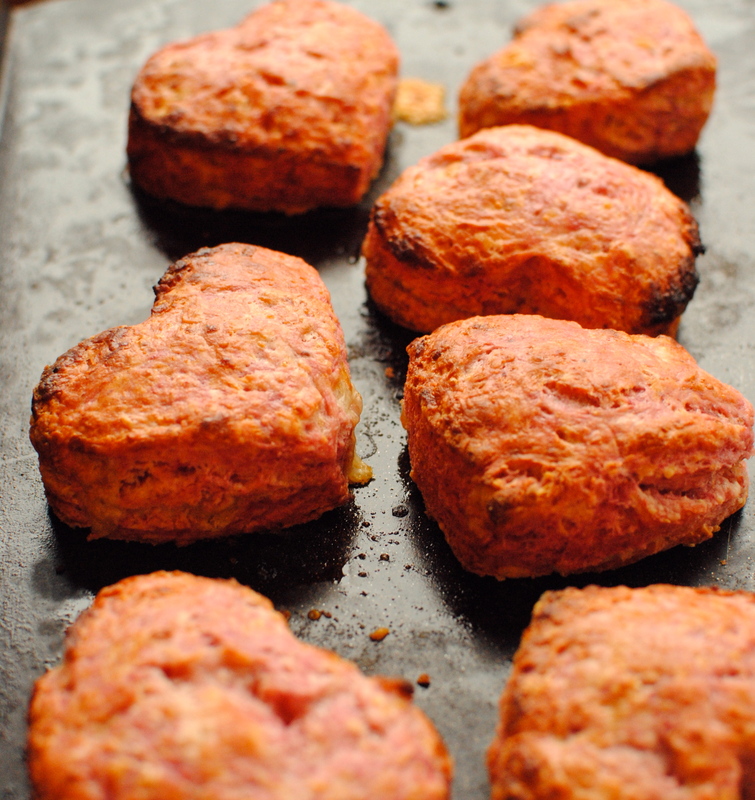 An ingenious and compelling treat for Valentine’s Day. And I can just envision the lovely brilliant red mess I’ll be making grating beet root for these savories! 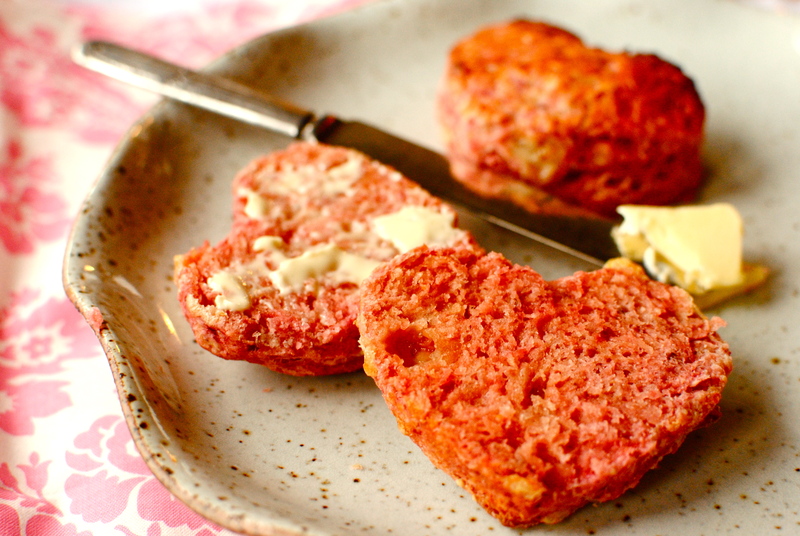 Have made these tonight ready for tomorrow but had to guzzle one just to check and they are sooo good – love the novelty value of these scones – who needs red roses and other cliches when you can have a pink cheese scone…..love them! By the way, fab cheese scones served at the Cheese Farm near Anstruther – regular option with their lovely soups – had never had soup and cheese scone before (maybe its a Scottish thing?) but its a great combination. 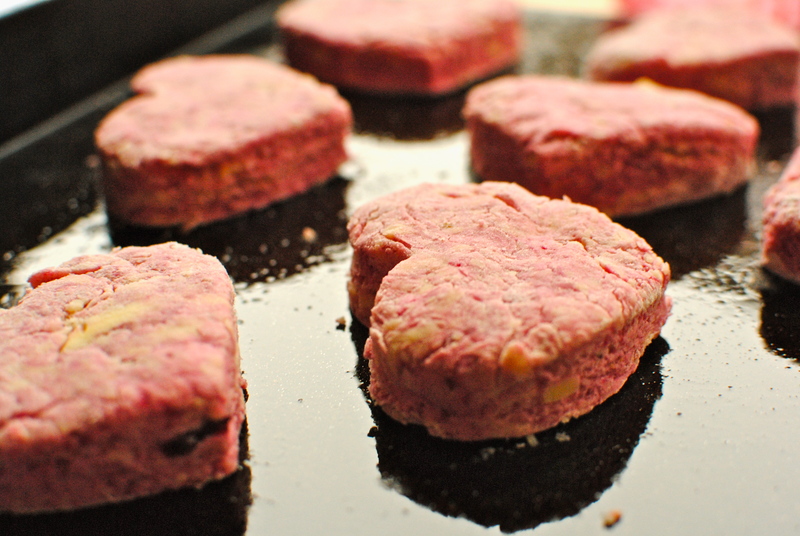 John taking pink scone as his ‘piece’ tomorrow – everyone happy! Thanks for letting me know you liked them, and for the Anstruther tip-off. We’ve had cake & coffee there but not been for lunch. I hope John enjoys his ‘piece’. Any for the kiddies? I am loving beetroot at the moment and this is such a cool idea of how to use them! They look amazing. Love the sweetheart cutout as well. Lovely. Thanks so much! Good luck with your exciting new adventure. Sounds like hard work, but great fun, too.